An item with the utmost scenic effect, for its elegance which is perfectly at ease in a host of different décor styles. 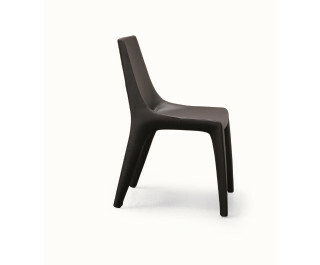 Tip toe is a padded chair with a steel frame and polyurethane padding. It is fully upholstered with eco-leather or leather covers. Also available with armrests (Tip toe arm).